Cake. Who doesn't love it? I've been testing out a few healthy recipes from some IG feeds recently. Some good, some bad... this one was awesome! So I thought I'd share. Mix all ingredients in a blender until smooth. Pour into a greased mug or bowl. Microwave for 1.5 to 2 minutes. 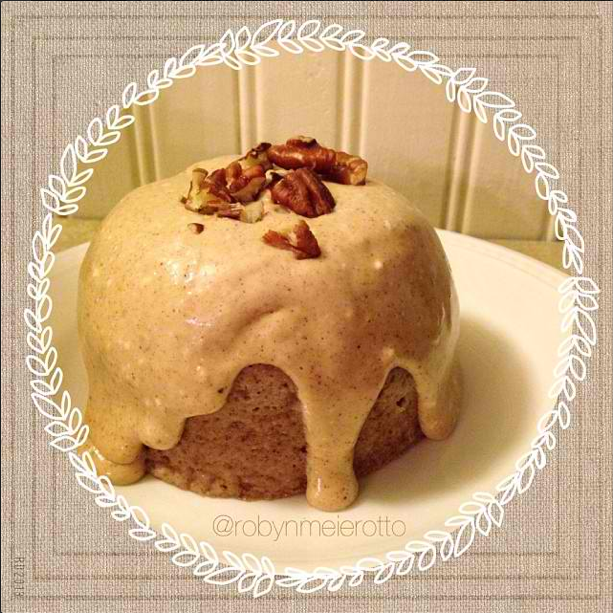 Flip cake onto a plate, drizzle icing on top, add pecans if you'd like. EAT CAKE!